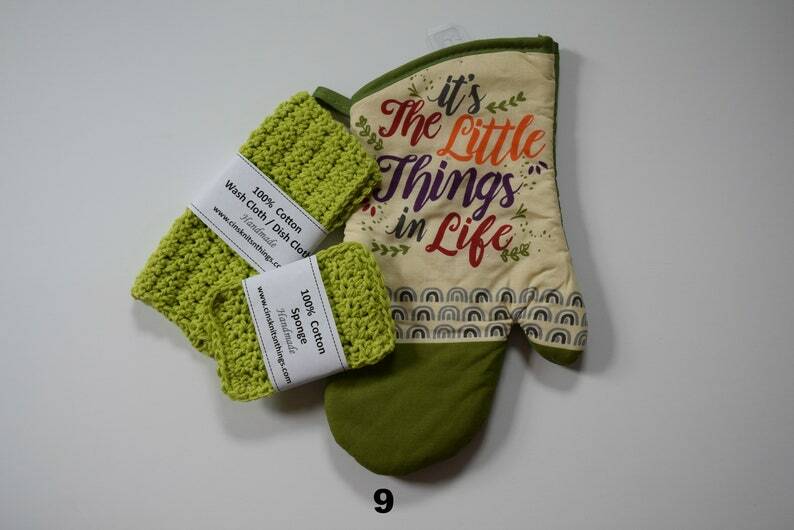 An Oven Mitt, 100% cotton dishcloth, and sponge set. Makes wonderful gifts. Made lovingly in a smoke-free home .